Place a piece of code in your robots.txt file. Create a DMCA takedown notice. Step 1 – Place a piece of code into your robots.txt file. If you already know how to edit your robots.txt file, simply place the piece of code into it. 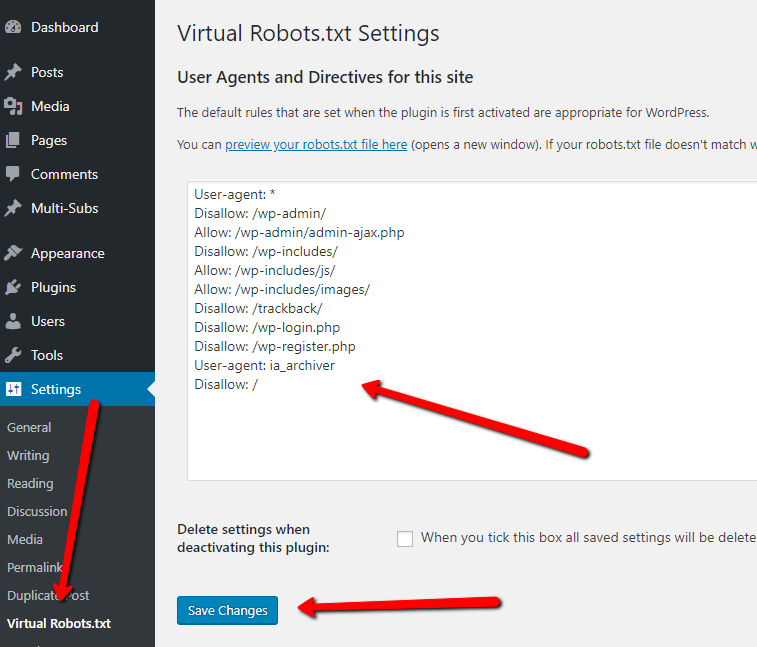 Download the free Virtual Robots.txt WordPress plugin from the repository. Upload and activate the plugin. Click on “Settings”, then click on “Virtual Robots.txt”. That takes care of step one in the process. Step 2 – Creating a DMCA takedown notice. You will need to create a DMCA notice that you can paste into the email you will be sending to Archive.org. 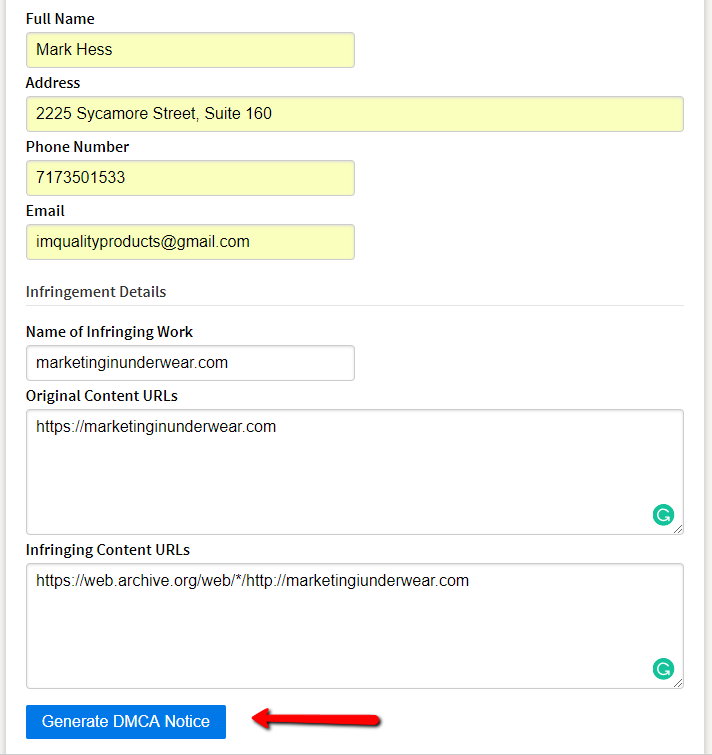 To create a formal DMCA notice you can use this free DMCA notice generator. In this example, I’m going to use my marketinginunderwear.com domain name. You can copy the DMCA takedown notice text into a notepad file or keep the browser tab open because you will need this takedown notice for step 3. Step 3 – Email Achive.org asking for permanent removal. You now need to send an email to [email protected] asking them to remove your site. “Hi, my name is [Your Name] owner of [The Domain You Are Asking Them To Exclude]. I’m officially requesting immediate removal of the [Your Domain] site/domain from web.archive.org and the Internet Archive Wayback Machine. One the email is complete, click send.